Hackathons are no longer just for emerging businesses, or scrappy entrepreneurs hacking away at code. Hackathons, code-a-thons, or innovation days – whatever you’re calling them – have quickly moved from the startup garage to the corporate mainstage. They are now part of an increased focus among larger companies on innovation and agility – helping to replicate the “just build it” mentality that powers the agility of startups and small teams. Hackathons are also no longer just for engineers or are exclusively software focused; they have proven their ability to unleash the creative potential of all kinds of workers, and to deliver valuable insights that propel the business forward. The most successful workplace hackathons involve cross-functional teams including programmers, marketers, sales, project managers, and other business groups. The best organizations understand that true innovation doesn’t start and end with a one-off hackathon event. Instead, they inject the spirit of the hackathon into their organizational culture. Take Facebook, which holds several hackathons every year globally. Microsoft and Zappos fall into this category as well. Similar to what we’ve written about Challenges, hackathons are not only employed as one-off events, but as an ongoing business tool that continuously feeds the idea pipeline. And what they’re getting in return is deeper employee engagement, faster results, and greater business value. So what makes up the elements of the hackathon spirit? An Innovation Challenge is a structured process to collect new ideas from large groups of people – employees, customers, partners, and other stakeholders. What are the biggest strategic challenges to the operation? Which of these challenges would benefit most from collaborative problem solving and prototyping? Which can be clearly articulated and shared with a large group of people? This should bring you to a short-list of possible themes for your hackathon. It’s important to start here, because the rest of the planning relies on the outcomes you’re seeking. Of course, setting up a successful innovation Challenge rests on the organization’s ability to create alignment amongst the various stakeholders around a specific business outcome. But once that is achieved, the business can start assigning resources and decide on the Challenge it will run to kick-off the hackathon. Running a one-time hackathon can be successful without the use of a formal toolkit, however the likelihood of maintaining momentum after the initial excitement fades is usually far and few between. In order to build a true innovation program and a culture of innovation, organizations need to do hackathons well. A hackathon done well is one that is driven by an aligned team and a unified business outcome, involves the right people at the right time, and can measure and monitor the results and outcomes over time – all of which are made easier by using a good Innovation Management tool. How do we think about which business outcome(s) we want to prioritize for the hackathon? How do we easily involve teams across continents? How do we collect ideas digitally? Which of our employees are working together, and which of them are true “intrapreneurs”? Of the ideas that come through, how do we measure them? How can we monitor the success of the hackathon 1-2 years out? Organizations can be at their wit’s event attempting to answer all of these questions while planning the logistics of a big hackathon event. That is where a comprehensive Innovation Management tool that brings automation and helps answer these questions comes in. 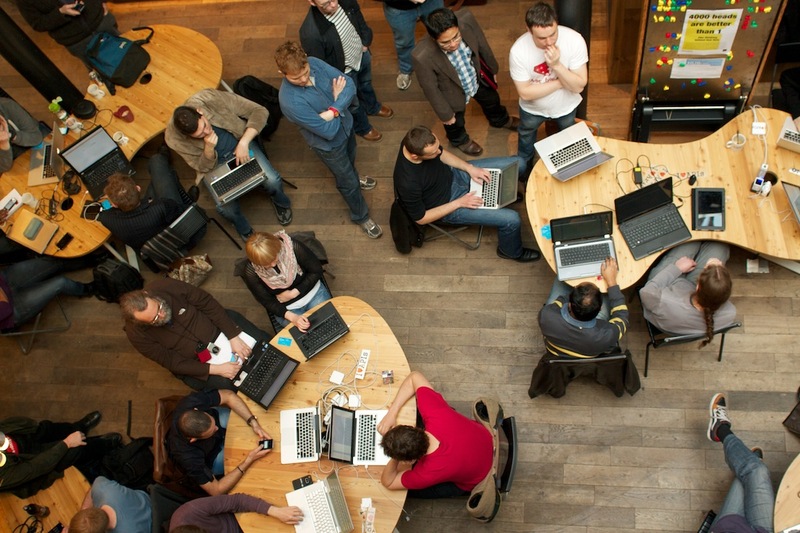 Are you using innovation management software as a part of your hackathons’ toolkit? If not, we invite you to Contact Us to discuss how we can help make hackathons a more strategic part of your innovation program.